Can you survive without BIM? So far, some firms have been holding out with concerns over costs, skill sets of the employees they have, and all the unknowns that come with implementing new processes and technology. Autodesk and Synergis aim to clear up the confusion and help you step into BIM while minimizing interruption in your current workflows. The real question is how will your firm survive without BIM? 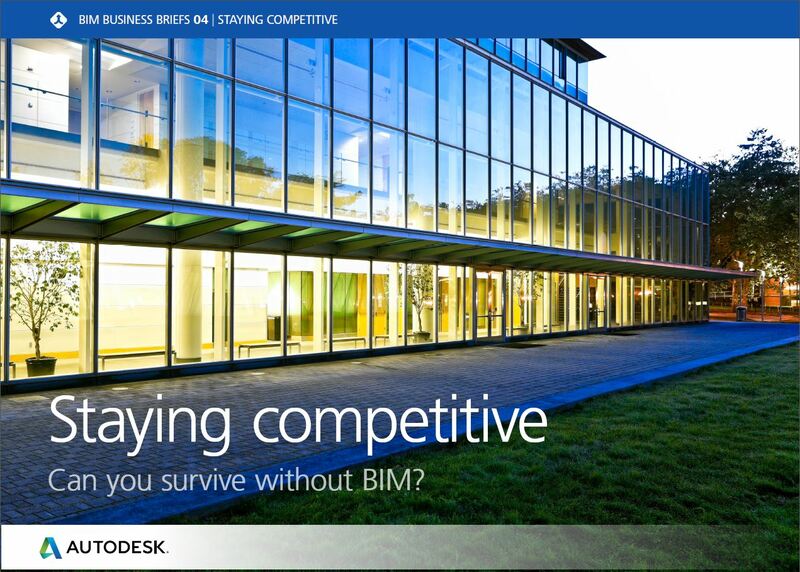 Check out Staying Competitive: Can you Survive without BIM? eBook by Autodesk to learn more about BIM and how your competitors are stacking up on the BIM scale. Want to learn more about BIM? Check out the McGraw Hill SmartMarket Report released earlier this year, The Business Value of BIM in North America. 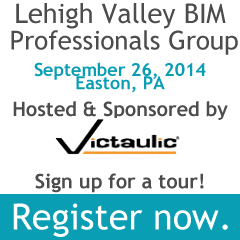 Join our Lehigh Valley BIM Professionals group if you are in the area! Local employees from Lehigh Valley companies come together to discuss the challenges, benefits and success stories of their implementations and process changes. Meet people who understand local challenges as well as the global impact of BIM. At the September meeting all attendees can take a guided tour of Victaulic, provided by our host for the day.